The panel said family law was one area where it advised that regulators “should now consider mandating fixed fees”. In its response to the Competition and Market Authority’s interim report last month, the panel said it agreed with “the overall finding that competition is not working well in this market because of a chronically weak demand side”. “Progress has been made, but it has been slow. Providers of legal services are not responding quickly enough to consumers’ need for transparency and predictability, particularly around key choice factors e.g. price and quality. “This is increasingly concerning because our evidence shows that in some areas of high consumer vulnerability, for example asylum and immigration law, consumers now consider price to be equally as important as reputation, which has traditionally been the key choice factor. The panel has come under fire from practitioners for its recommendation earlier this year that firms be required to publish ‘average’ prices, which it said would empower consumers’ decision-making processes, in turn driving competition, could help to reduce unwarranted or unknown price variation, and could contain the cost of legal services. 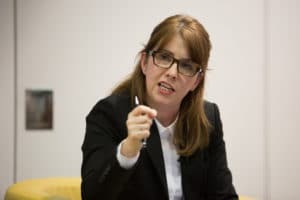 The panel told the CMA that lawyers’ argument that it was impossible to cost services because of the variation in the work they do “disproportionately shifts the risks on to consumers, who are already disadvantaged by virtue of information asymmetry”. While accepting that there may be legitimate difficulties with offering fixed fee or absolutely accurate estimates in all cases, “the panel is of the strong opinion that the sector can do more to improve transparency and disclose costs more accurately. The panel also pointed out that there have been interventions in “comparable markets with similar levels of price complexity and opacity”, such as the CMA itself proposing changes to improve the transparency of retail bank charges, and government plans to ensure dentistry charges and treatment plans are clearer and easier to understand, following a strong campaign by Which? “This is in an industry where there are already rules requiring dentists to prominently display price lists in their surgeries and set out treatment costs upfront. Yet the government deems it appropriate to intervene because research found that 51% of people visiting their dentists did not see a price list and one in five were not clear about costs ahead of their treatment. Panel chair Elisabeth Davies said: “The overall findings [of the CMA] are indisputable. What we would like to see now is a concerted effort and leadership towards the necessary solutions. I go to my dentist where the price for a filling is clearly posted at £150. Dentist starts work and says, more work needed, another £200.00 please. Garage quotes, £80.00 for a service, opens bonnet and says, more work needed. Another £300.00 please. So we quote a simple freehold conveyancing purchase at £500.00. Deed of Easement needed, or Deed of Trust, or Indemnity Policy or follow up questions on replies to enquiries, etc etc. Another £500.00 please. I like it. We actually get paid for the amount of work and complexity involved.